I made a day trip into the South Australian mallee along the Karoonda Highway on Tuesday. Elders Weather website said that there would be rain, cloud and sunshine on that day–conditions that are more congenial for my style of photography than the blues skies and sunshine that was forecast for the next 5 days including Easter. The dryland region along the Karoonda Highway was new territory for me, as I’d only been as far as the small Karoonda township previously. This is girl in a suitcase territory. I made it as far as Wanbi on the highway in the northern Mallee region where I had lunch before turning back. This region is of corporate farming, dryland grazing and cropping and it is sparsely populated as the economies of scale had forced smaller landholders out of business. I found the small towns along the highway—-Wynarka, Borrika, Sandlewood, Halidon, Mindarie and Wanbi—to be much more impoverished and deserted than the hamlets/towns on the Mallee Highway in Victoria. 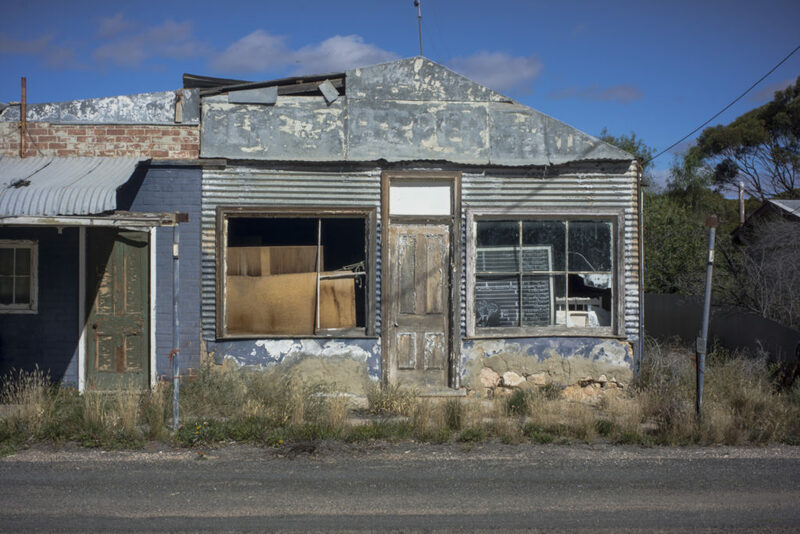 People had left these hamlets in South Australia, rather than continuing to make a life for themselves they were in along the Mallee Highway in Victoria. Decline, rather than prosperity, development and progress, was the characteristics of the Mallee region along the Karoonda Highway. Some of the towns were ruins because people who didn’t have a lot of land, can’t survive on the land. So ends the rural yeoman ideal with its vision of asserting dominance over nature to build an agrarian society of independent and morally superior, white yeoman citizenry living on their own family farms. On my return trip back along the Karoonda Highway to Encounter Bay I made a side trip east in a triangle from Mindarie to Galga and Mantung and back to Mindarie in the northern Murray Mallee region. I wanted to reconnect with a photo trip that I made in the 1980s via Mannum and Swan Reach on the River Murray. Several of the archival black and white photos that I made whilst staying at Mantung that are on my film gallery. 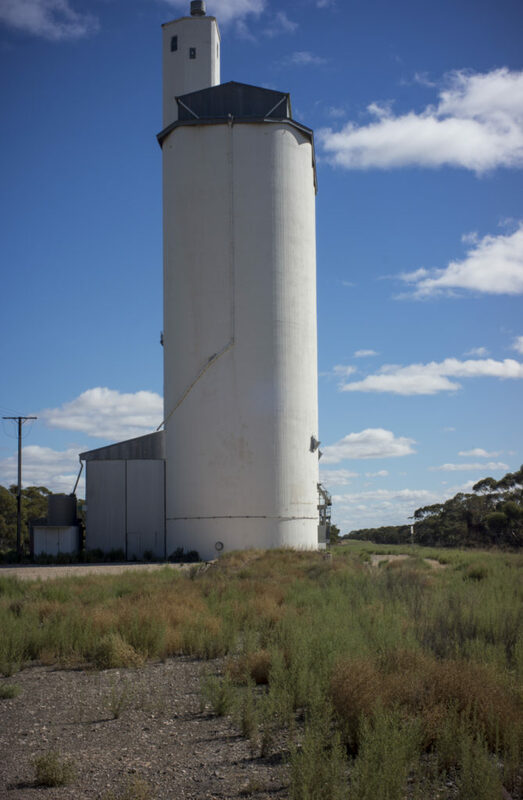 They form the beginnings of my contribution to the Mallee Routes project, which includes a digital gallery. It was important for me to reconnect with this personal history as my memories of this part of the South Australia Mallee was that it was quite dry, harsh, and reliant on the extraction of salty ground water from deep limestone groundwater aquifers. I only had time to quickly walk around the hamlet on this occasion. I wanted to see what was there, so that I could return when I was camping with Gilbert Roe at Loxton in the last week of April. I was surprised that I hadn’t photographed the old water tower when I was there in the 1980s. 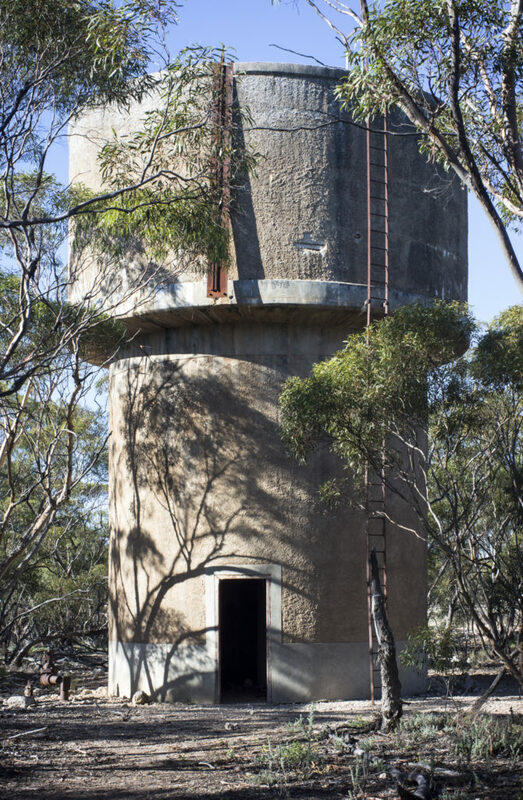 I presume that this old water tower was a part of the railway infrastructure that was built to underpin the development of the rural areas of South Australia in the early 20th century. I noticed that the railway line at Mantung, which was part of the Waikerie-Karoonda railway line, had been pulled up. The railway line at this silo at Wanbi is now covered with vegetation. This report indicates that the two Mallee railway lines (ie., one from Karoonda to Loxton and the other from Talem Bend to Pinnaro), were originally originally constructed in 1906, and closed in 2015. They are bulk single commodity lines, are light rail and ballast with low speed limits and only used for the collection of bulk grain. 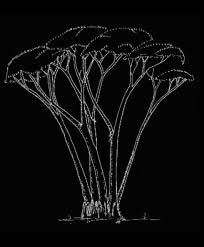 They were not constructed to the standards required for the bulk commodity task, and are too old and costly to maintain and justify upgrading. Combined with the fact that the lines are single product dependent lines and costly to maintain, the current grain volumes are also too small and declining and the grain seasons too variable. I found this part of the mallee bleak and depressing: towns like Galga and Wanbi were basically deserted, with only the odd person living there. Many of the buildings in the hamlets on this region were ruins as were the sports fields. They had withered and died. That rural decline meant the loss of social capital that accompanied the drop in farm community population. Small businesses and locally-based government and community services have dried up since the 1990s. With fewer families to serve, government services were cut back or moved to larger service centres, while small businesses struggled to remain profitable. I kept on thinking that this was a past that few would remember. The rural future does not look promising for the fabric of local communities and family life, with the decline in rainfall, increases in daily mean temperatures, more heatwaves, more droughts and greater pressure on ground water resources.Battling, risk taking, surviving on very little, and hoping for better years is no longer enough. ← State of Hope: where’s the Mallee?